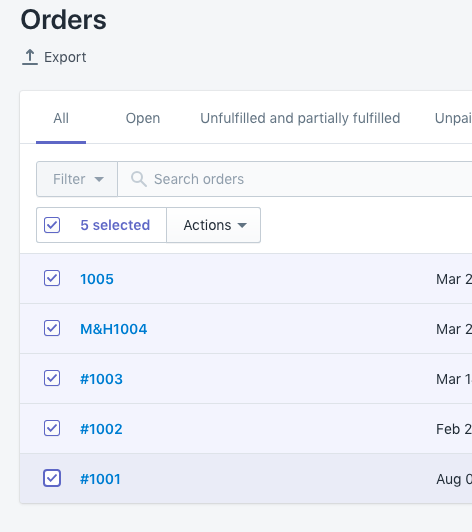 In the event that your Shopify store uses a local delivery service or if there are custom steps that you'd like to add to an orders' status, Tracktor has got you covered. 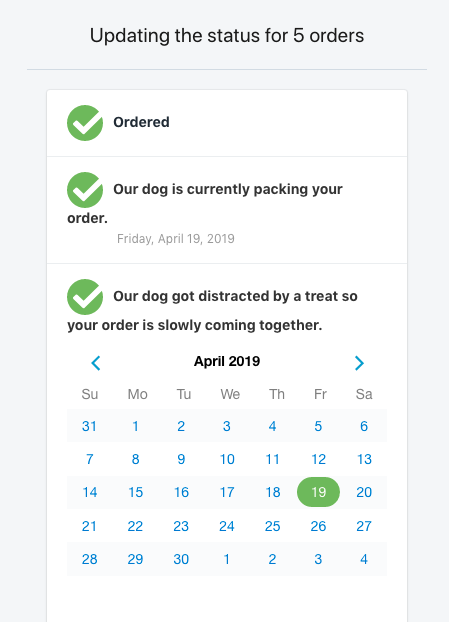 You can create Custom Order Statuses from the Tracking Page tab on the app dashboard, and you can manually Update Order Statuses from the Shopify Orders page. You can also bulk update order statuses so you do not have to manually update each order individually. 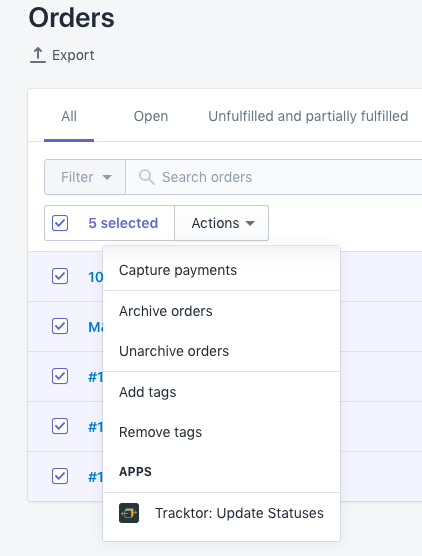 From the Tracking Page tab under the Custom Status section, you will be able to add as many customized order statuses as you need. These will appear after the Ordered step. Note: You will be limited to 3 custom order statuses if you are using the horizontal display layout. Choosing the vertical option will grant you access to unlimited custom order statuses. Make sure to click on the Save Changes button at the top-right hand side of the page. 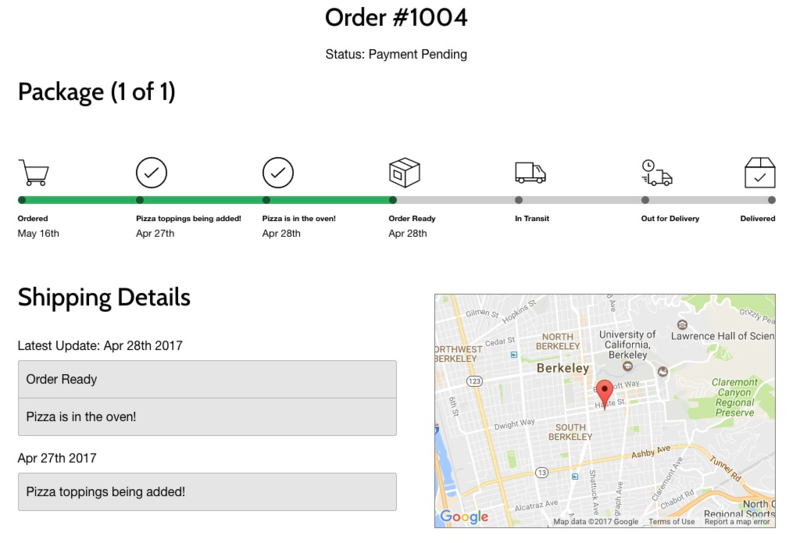 Now that you've created some custom order statuses, follow these steps to manually update the status of your orders. 2. Click on an order you'd like to edit. Click on the More actions ▼ button at the top, and then select Tracktor: Update Status. 3. The custom order statuses that were created will appear here. You can check each status by clicking on the and then readjust the dates for each step. 4a. Checking the Automatic Order Updates box will utilize whatever tracking number and carrier information that the order was fulfilled with for the rest of the shipping details. 4b. If left unchecked, you will be able to manually update the shipping or delivery status of the order. 5. After you click Save Changes, the order will reflect the updates made on the Tracktor page on your Shopify store. 1. 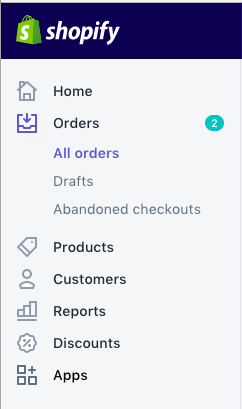 From your Shopify admin dashboard, navigate to the Orders tab. 2. 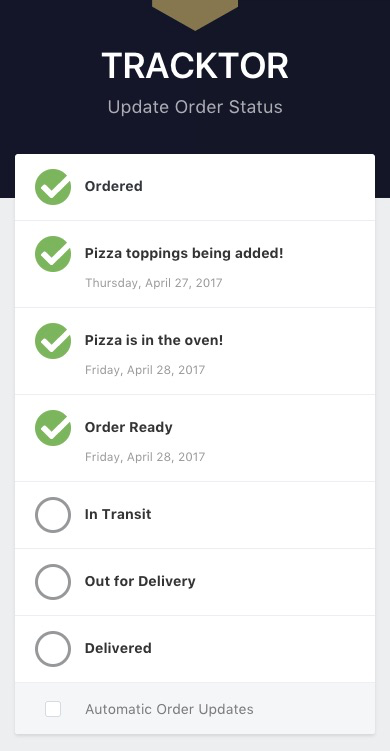 Select the unchecked checkboxes next to the orders that need their tracking information updated. 3. Click on the Actions ▼ button under the search bar and filter feature. Scroll down until you see Tracktor: Update Statuses, under Apps. 4. Select the appropriate status that needs to be updated to selected orders. 5. Click on the Save Changes button and you're done!